email mary@narip.com with any questions. Alexandra Patsavas is our special guest at this NARIP Film & TV Music Supervisor Session in Los Angeles. Alexandra is known for her music supervision on the TV shows Grey’s Anatomy, Mad Men, Supernatural, Hart Of Dixie, Scandal, Suburgatory, and The Carrie Diaries, and is currently music supervising the feature film The Hunger Games: Catching Fire. Alexandra Patsavas – owner of Chop Shop Music Supervision – got her start in the music business as a rock promoter in Champaign, Illinois. She moved to Los Angeles in 1990 and worked in the Film / TV department at BMI. She then moved on in 1994 to work for Roger Corman at Concorde Films, where she was music coordinator and supervisor on over 50 B-movie classics in a three-year span. After her stint at Concorde, Alexandra started her own company, Chop Shop Music Supervision, where she music supervised the TV shows Roswell, Carnivale, Boston Public, Fastlane, The OC, Without A Trace, Numb3rs, Chuck, and the films The Invisible, The Twilight Saga, A Better Life, Water For Elephants, The Dilemma, The Perks of Being a Wallflower, Warm Bodies, and The Hunger Games: Catching Fire. She produced the soundtracks for Mad Men, Grey’s Anatomy, The OC, Rescue Me, Gossip Girl, Twilight, The Twilight Saga: New Moon, The Twilight Saga: Eclipse, The Twilight Saga: Breaking Dawn Parts 1 and 2, and The Perks of Being a Wallflower. The critically acclaimed soundtracks for Twilight, The Twilight Saga: Eclipse, and Grey’s Anatomy Volume 2 were each nominated for a Grammy. Alexandra has been profiled in Wired, Glamour, The New York Post, The Los Angeles Times, In Style, The Chicago Sun-Times, The Chicago Tribune, Elle, Jane, Billboard, Giant and in The New York Times, on CNBC and MTV. She was named by Advertising Age as Entertainment Marketer of the Year, The Los Angeles Times as one of The West 100, Variety as one of fifty honorees for their annual Women’s Impact Report, Fast Company as one of the 100 Most Creative People in Business, and as one of Billboard’s Top Women In Music. NARIP’s small sessions (limited enrollment of 16 people per session) guarantee face-time with our guest, registrants get brief of supervisor’s CURRENT music needs, a chance to pitch plus immediate feedback. You get to meet and pitch our guest for current opportunities on the spot, receiving instant feedback as to whether a song or cue is appropriate or not, and most importantly, WHY. This feedback makes better pitches – and ultimately, placements – possible. Participants even have the opportunity to re-work music to better fit a supervisor’s needs. Placements secured and professional relationships formed through NARIP”s music supervisor sessions have earned praise and and placements! See TESTIMONIALS and PLACEMENTS sections below. Click here to read what people say about NARIP’s Music Supervisor Sessions. For articles in The Guardian (UK), MusikWeek (UK), Musik Woche (Germany), Taxi Drivers: Cinema e Cultura Metropolitano (Italy), MEOW (US) and other publications, and to read about NARIP members and session participants who have made over 20 placements since inception of NARIP’s series last year, click here. We’re delighted to report the most recent placement, The Chris Bergson Band’s song “Rain Beatin’ Down” that has been licensed for the rest of the season on ESPN for all of NASCAR programming. Special thanks to Nick Dofflemyer at Universal Mastering Studios for hosting this event. Universal Mastering Studios is not visible from the street (Cahuenga), it is in the same complex as LA Fitness, right next to Panasonic and in the former Hanna Barbera Building. Major cross streets: Universal Studios Boulevard and Oakshire Drive, just east of Universal Studios Boulevard. The entrance is in the BACK of the building. Click here for map. 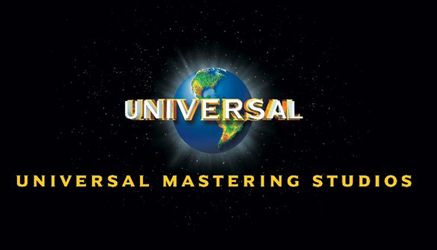 Parking is free, but please note that Universal Mastering Studios has only 5 spots allotted directly in front of the entrance to the studio. If these are full then continue into the parking structure where you will find more spots on level B2. Be sure to park ONLY in spots marked UMSW (Universal Mastering Studios West) – spots for NARIP event attendees will be reserved with traffic cones. There is also street parking available – be sure to read posted signs. If you can’t be here in person, at most locations we can accommodate pitching via Google Hangout, or we can present material and provide the guest music supervisor’s feedback to you directly. If you have questions about this, please call or email Mary Bee at 818-769-7007 or mary@narip.com. Anyone seeking placement opportunities in film and film promotional campaigns. * Available to Professional and Executive NARIP Members only (not monthly members). Members please log in to receive discount. Call us at 818 769 7007 or email mary AT narip DOT com. the biggest music business network in the world, now in nine major cities. We promote career advancement, education and good will among record executives. To join the wait-list and email mary@narip.com with any questions.